Welcome to Brutiful Entertainment! Take a look around the forums area (hit the forum button). We hope you enjoy your stay and come back anytime!! 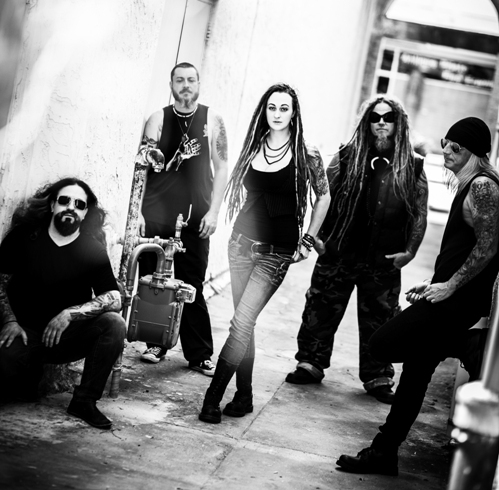 If you are familiar with and love Technical Metal giants Atheist then you'll be aware of vocalist Kelly Shaefer. I do indeed love Atheist but Kelly likes to keep busy and Stones of Madness from Ft. Myers, Florida are another of the bands he is a member of. This, self-titled EP is their debut release and it has knocked me sideways, firstly because it's damned good and secondly because it's not what I expected! Quite often people are involved with other bands but they'll be carbon copies of the 'day job' and you sometimes wonder what the point of that is! Stones of Madness couldn't be more different from Atheist and it proves that this man is no 'one trick pony' when it comes to singing as he is superb throughout! Along with former Dry Kill Logic guitarist Scott Thompson, Shaefer has put together a band that could really end up going places and in a genre that doesn't always get my blood flowing! I like the fact that they just describe themselves as Hard Rock/Metal (that's how it should always be) but for those of you wanting a more descriptive tag then Stones Of Madness are Groove/Stoner/Sludge Metal with echoes of the 70's but also Sleaze and Grunge acts such as early Guns 'N Roses. Velvet Revolver and Alice In Chains. They are deceptively heavy but melodic, bloody catchy and the drums sound like the cannons at an AC/DC gig but it's all delivered with warmth! Stones of Madness are completed by the outstanding talents of guitarist Shawn Bowen, drummer G.J. Gosman (both of whom previously played with Shaefer in Neurotica) and superb bassist Julia Simms! Together they have come up with five rip roaring songs that are stuck in your head immediately but also grow with each subsequent listen. I honestly cannot choose a favourite between 'Hostility', 'I See The Wave', 'For Today', 'I Need' or 'Isn't That The Way' although the drumming in 'For Today' is doing strange, but good, things to me and don't forget I'm a drummer so I'm allowed to say things like that...I think! I also love Eliran Kantor's cover art, which is a stunning re-imagining of Heironymus Bosch's 'The Extraction Of The Stone Of Madness', the painting that gave the band their name, and which perfectly captures their style and sound. 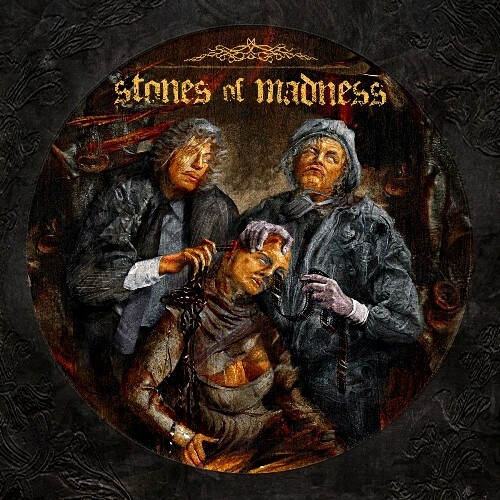 'Stones of Madness' remember the name and buy the EP...you won't regret it!